This article applies to Acrobat Reader 9, 10, 11. 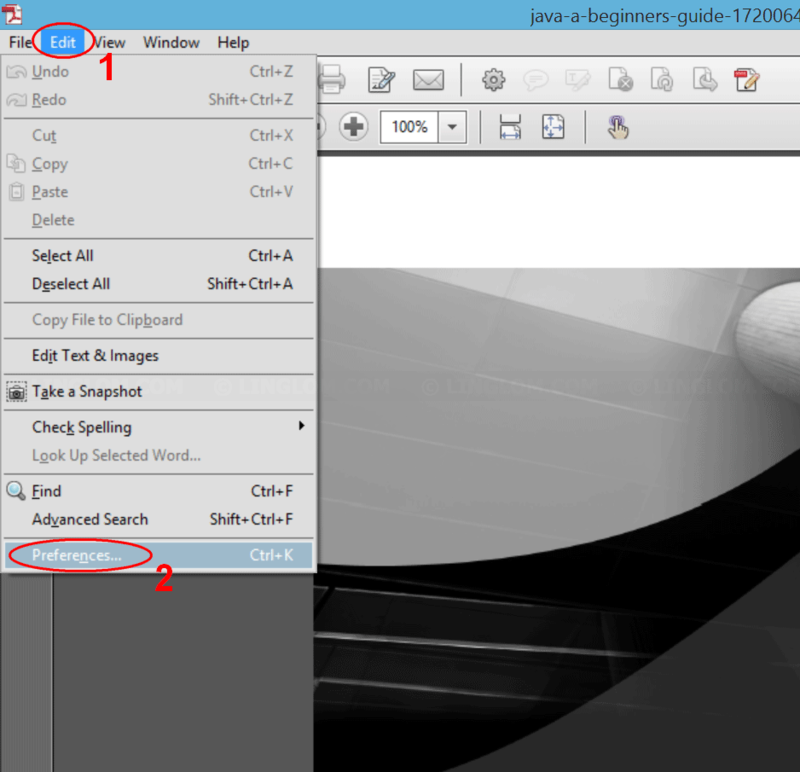 If you are reading a PDF document on Adobe Acrobat XI and notice that scroll bars are missing in Normal view as you used to have on earlier versions. Even you can still use mouse wheel up and down, or Hand tool to pan around the document, you may not get used to with them as scroll bars. 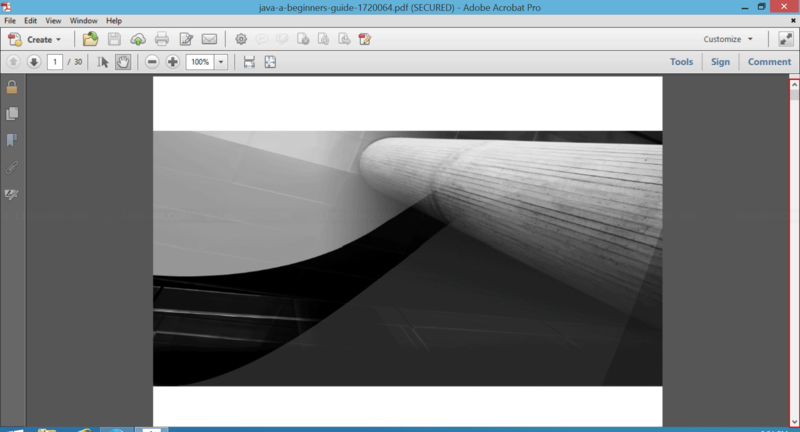 This article will show how to configure Adobe Acrobat to have scroll bars. There are 4 methods which you can try to fix the issue. 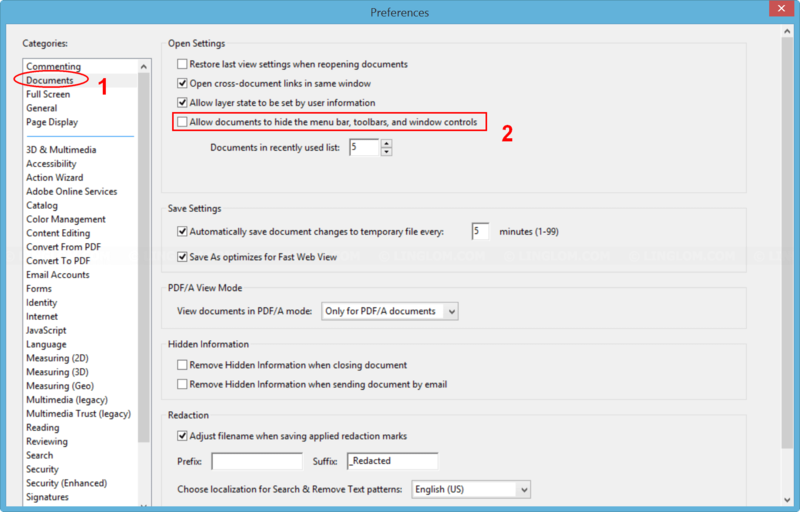 This method will affect only the document that you configure. 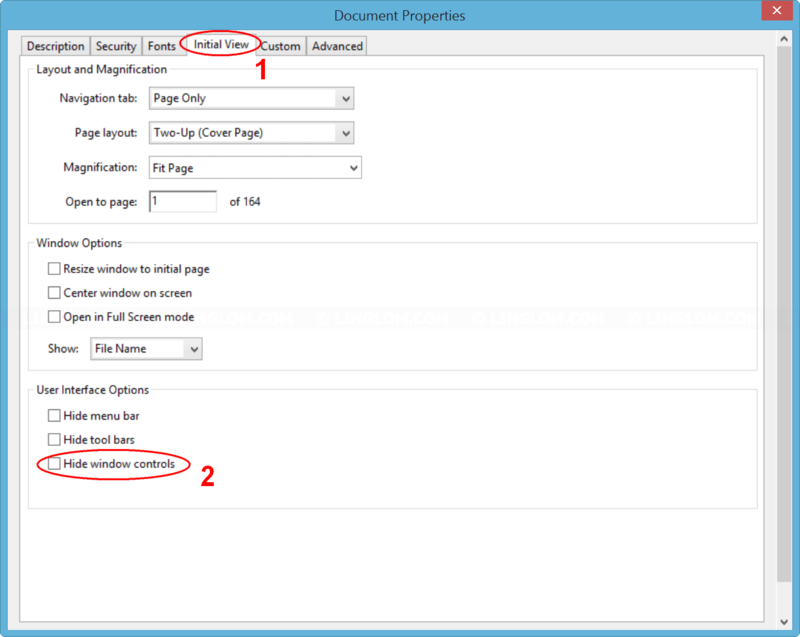 Open Document Properties by click on File and select Properties. 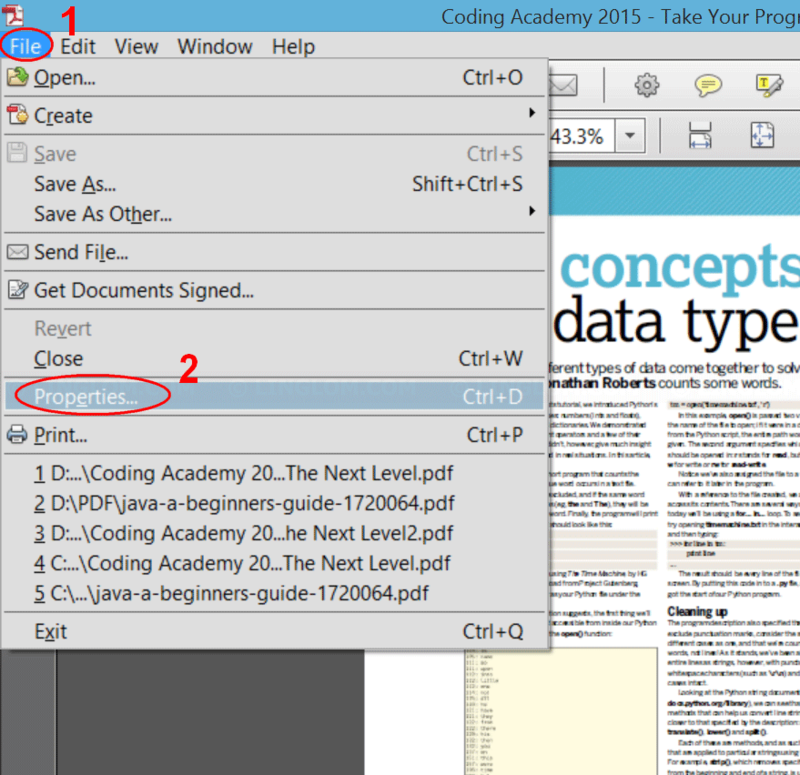 On Document Properties, select Initial View and make sure that the box Hide window controls is unchecked and click OK. 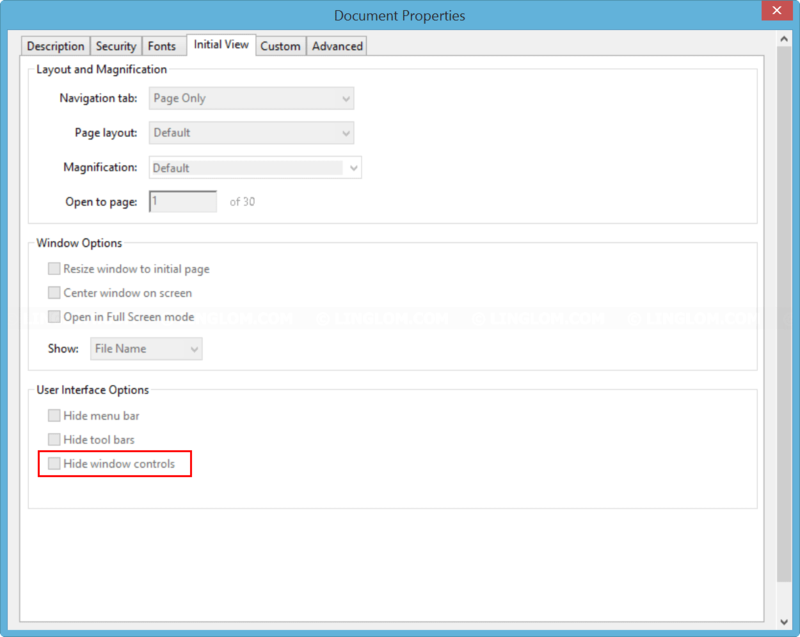 In some case, you are not allow to modify the document properties or you want to configure the option for all documents. Open Preferences by click Edit and select Preferences. Select Documents on the left menu and make sure that the box Allow documents to hide the menu bar, toolbars and window controls is unchecked and click OK. If you have touch screen computer, it is possible that touch screen mode is enabled by default. You can toggle it off and the scroll bars will be shown. Open Preferences by click Edit and select Preferences. Next, select General on the left menu and change Touch mode to Never. 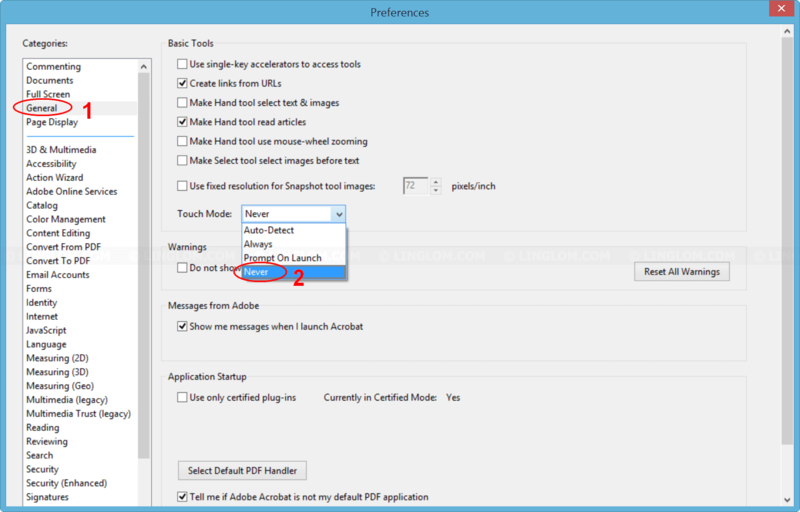 By apply these methods, the scroll bars should be appear on Adobe Acrobat. If you still have the issue with scroll bars on Adobe Acrobat, feel free to post comment below. Thank you! This was my morning project. I never would have found that on my own. I am a very technically oriented person and yet this issue has made me feel totally stupid. I want to say THANK YOU for taking the time to post this. So helpful. Mine was just the touch mode being clicked. Who knew? You are a GEM. THANK YOU-THANK YOU-THANK-YOU..
Hi – Thanks a lot. This did the trick. Appreciate you explaining it so clearly. I spent two hours trying to fix the problem myself. it took two minutes after reading your help guide. This info was great, thank you so much. Thank you so much for your step by step explanation – God Bless. Thank you, the information was spot on and a real help. Thanks a lot you helpful guys , appreciate that so much . Thank you so much. You saved my day. will this method work on the scrollbar in the Page thumbnail view? My scrollbar is missing from this. Hi, thank you for putting all of the solution together. Yet I’m still encountering issue with missing scroll bar after taking all of the above step.. 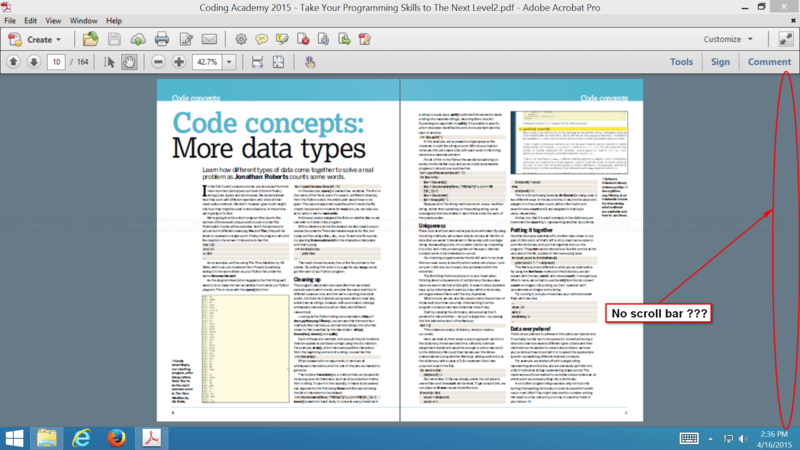 I also tried the view->page display->enable scrolling, but I don’t have a selection for that in my version of acrobat. My version is 2015.005.30452. Thank you for any advice. Hi Florda, close the application and open again. I too experienced the same issue. After restarting the app, it’s gone. Godbless you for such a complete explanation to this quirky problem. Adobe has nothing explaining this. I’ve been trying to figure this out for a long time. Thank you!